To me, art is special. When I enter a place where there is beautiful art I’m immediately drawn to it. I love pieces that feel like they were lovingly created- even stuff that’s a little wild. That’s why I have a disease where I can’t hang prints. They feel kinda empty to me. I need originals. Well that’s all fine and good but original art is SO expensive and actually pretty hard to find. Take it from someone who is an avid thrifter - good art isn’t just lying around in the art bin at the DI or even on KSL (Craigslist). Sometimes. But that is a VERY rare and lucky day. BUT fortunately for all of us the internet has made original art more accessible. Now it actually IS possible to get some pretty beautiful artwork, that was lovingly made, by someone who loves what they do without breaking the bank. It’s called Etsy. I’ve rounded up 10 of my favorite Etsy shops for finding beautiful classic/traditional art which is also my favorite style. I can make a case for Picasso and Warhol but Impressionistic art is what really speaks to me. Some of these shops are owned by artists and some are just curators. I saved my very favorite for the very beginning. 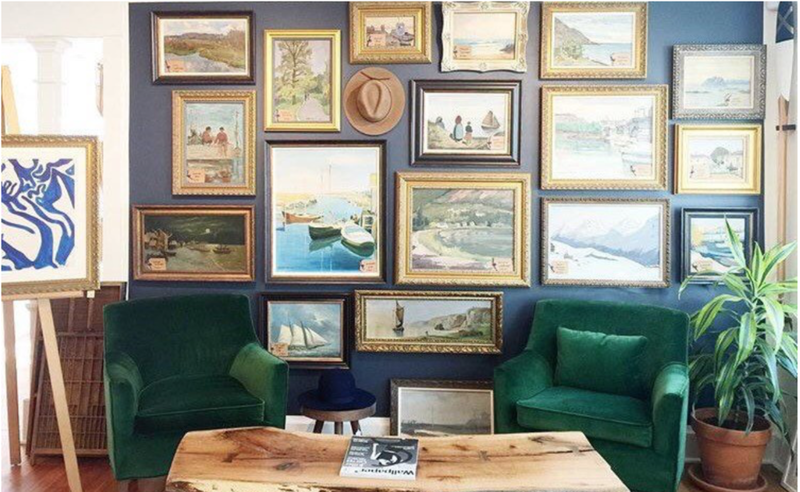 This shop is a collection of vintage paintings curated by an art dealer out of Minnesota with impeccable taste. 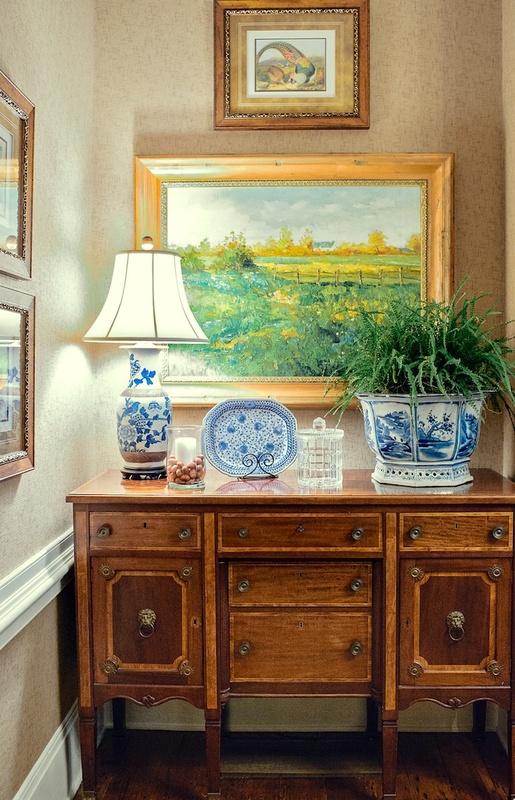 She gets her art from estate sales, antique stores and auctions. Everything is one of a kind- some to known artists and some are untraceable. They are ALL beautiful. You can expect to pay a little more- about $250-$500 but they are the kind of paintings that are timeless. I haven’t bought anything yet but I check into this shop every once in a while to see what is posted just cause I like getting inspiration. This shop out of Toronto is kinda like a thrift store. It has mostly weird old things but if you’re willing to sift, some pretty beautiful paintings pass through. Like this amazing barn. Everything is a little more wild which is why I kind of like it. Like how cool is this: (Sorry not impressionistic). This is another shop that you’ve got to keep an eye on cause it’s always changing and there are some strange things mixed in with some true wins. Prices are a little all over the map. I’ve had this one on my favorites list for a long time. I found it when I was planning Jane’s nursery. I love how subtle and feminine her watercolor botanicals are. This is what I’m talking about when I say art that is lovingly made. ALSO the prices are amazing. It’s out of Ukraine though so you might get hit on shipping, I’m not sure. But seriously look how beautiful! All paintings are painted by an Italian in Italy of Italian landscapes. Colorful and bright, I love the vibe of these pieces. He loves bright blue and fuchsia which can be a little novice sometimes in my opinion but his paintings don’t come off that way at all. You can expect to pay more - anywhere from $300-$3000 but these are the real deal. These beauties are mostly brightly saturated landscapes that are really reasonably priced, out of Arlington Virginia. 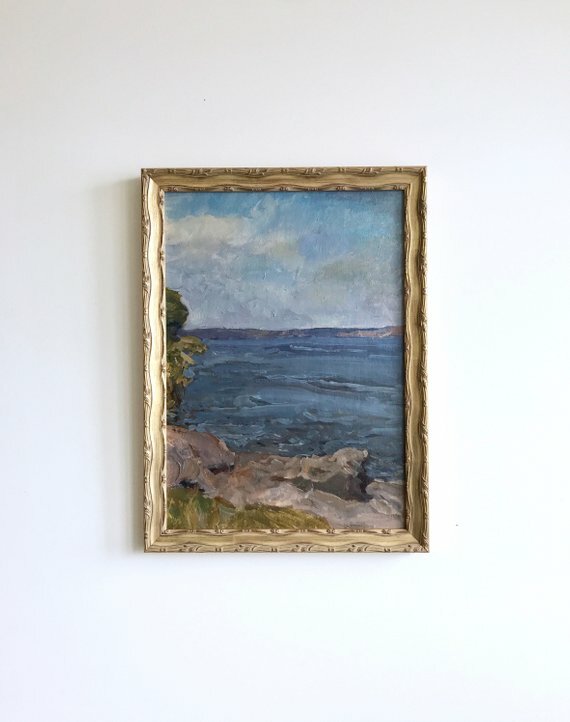 She labels them as “Modern Contemporary Impressionist Oil Paintings.” I don’t love everything but there are some gems for a really good price. I love this sweet little french shop. Her bio says “Mum of three.” She curates french home decor, including art. Fun to look through. Not exclusively an art shop but has cool things that could be awesome in the right place. 8. Paintbox - This is a really good source of art if you are needing something that will mix in nicely with your decor and add to the room but not draw attention to itself. I really like the colors, subject matter, and soft faraway feeling to these paintings. 9. Florianska36 - Out of Poland - Mostly weird stuff but then there are some serious bright stars if you are interested in portraits. I feel like that’s how you’re going to find your cheapest art - in shops that aren’t necessarily art shops so they don’t totally see the value in the paintings. Shipping is $20 to the US. But seriously though, these portraits are $77 each. You can’t really beat that. Ummm also this one from Jenerational - Only 4 items in this shop but look at this painting. It calls to me. The colors and textures are amazing. Someone buy this and send me a picture of it in your house. I love it. Share any of your favorite shops or sources for art in the comments below! I’d love to hear about them. Also, if you want to join my newsletter list for more art, garden, home and life content you are welcome to subscribe below.